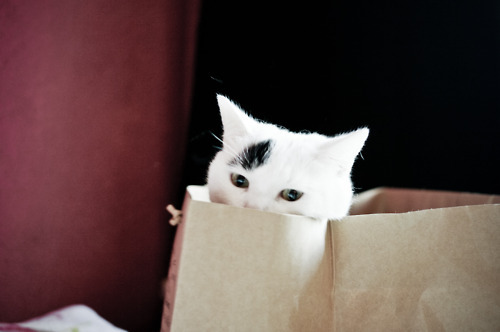 The British Gazette » Herr Juergen Hardt: Letting the cat out of the bag! Over the past quarter the formerly sovereign United Kingdom of Great Britain and Northern Ireland has undergone some dramatic political developments. There was the surreal EU referendum campaign where politicians on both sides appeared to delight in scoring “own goals”! Then, following the vote for Brexit, we had the resignation – as this organ so predicted, before noon – of the Chameleon as Prime Minister. This however was not the end of surreal happenings on the British political scene! When all around you appear to have lost their sense of reasoning and are babbling incoherently it is essential to keep one’s thoughts fixed on what is real in the here and now and not allow oneself to become drawn into the opiate of the delusional fantasy infecting all those around you! This is EXACTLY what the British Gazette throughout this period did, does and will continue to advocate as the Brexit Strategy, “Flexcit” complied, with others, by the excellent and most learned Doctor Richard North. This is because – apart from WTO default with EU providing the necessary bureaucratic support – Flexcit is, as the British Gazette has repeatedly stated, the ONLY doable, practical and realisable route out of the European Union for the United Kingdom! This is a FACT. Just as sea water tastes salty and will extinguish any conventional match plunged into it! It is no good complaining and bemoaning about this; sea water contains salt and trace amounts of other minerals and that is that! Get used to it! Of course Flexcit is for Eurorealists merely a FIRST STAGE. Many Eurorealists desire what they call “Brexit Max” outside the Single Market but with access to it. This can ONLY be achieved AFTER the first stage which finds the UK out of the EU but in EFTA and in the EEA (Single Market). Because of the time this would be the subject of debate and discussion in the future. Any reader who believes that there is another way other than Flexcit and especially impractical and catastrophic suggestions as not submitting Article 50 and repealing the ECA of 1972 instead (a suggestion made by one commentator in an earlier article that was very rudely and insultingly condemned by another) is living in a fantasy world. Given the above FACTS one has to question just what is going on in the mind of the Queen’s 13th Prime Minister, Chairman May? Chairman May is moving with commendable swiftness in appointing her new cabinet and government. The appointment of Boris Johnson as Foreign Secretary and David Davis as Brexit Secretary has been greeted with hails that she is making good on her previous statement that “Brexit means Brexit”. Johnson’s appointment has been greeted with shock, surprise and mirth. The reaction of Angela Eagle is typical of the reaction of many, including your Editor’s. Both of these men have so far refused to accept Flexcit as the Brexit strategy. One of the most obvious is the lack of a mandate for Flexcit. During the campaign the Leave side left the voters with the impression that a vote for Brexit would lead to withdrawal from the EU and a halt or a dramatic reduction in the number of migrants coming to the UK as the result of the much vaunted (chiefly by Nigel Farage) of the “Australian style points based system”. This is something that Flexcit – even with the Liechtenstein arrangements in place – does NOT offer. Thus were Messrs. Johnson and Davis to come forward with Flexcit they would immediately be accused (rightly) of reneging on a campaign pledge! Of course there is a theoretical way out of this conundrum: that “Freedom of Movement” be removed as one of the freedoms of the EEA. This of course would have to apply across ALL EEA member states and would require the agreement of ALL of them. The chances of this happening are fantastically remote! Thus Messrs. Johnson and Davis are on the horns of a dilemma! It is a this point we must now look beyond our shores and consider and evaluate the position from the standpoint of other EU member states – principally Germany! As UKIP is so fond of mentioning, the German automotive industry export a lot of their products to the UK. These major German employers do not want to see the UK collapse economically – which is what would happen were the UK to Brexit without agreement. Neither of course would the UK’s creditors: of which there are many! Neither would the many Chinese multimillionaires and billionaires (nearly all of whom have very close connections to the Chinese Communist Party) want to see the value of their London property portfolios collapse. Thus British Gazette readers can rest assured that such as Mr Kerry and whoever is his successor in January 2017 will be whispering in Mr Johnson’s “shell like” the importance of making a sensible agreement on Brexit. What Herr Hardt’s statement reveals is that the Europeans will wish to have the option of a return to the EU fold – i.e. ; no Brexit as an option. This almost certainly means a second referendum at the end of the process! Voter turnout of the 18 – 24 year old generation was less than 33%. The EU’s politicians will have concluded that in future the UK’s voters will be far less Euroskeptic. They therefore do not want to see the UK leave the EU when it is just on the cusp of being supportive of EU membership! We can be confident that not only the UK’s many creditors, but the Germans, the USA and the Chinese will INSIST that a second confirming referendum will form part of the Brexit agreement as none of them want to see the economic collapse of the UK. 1. WTO default with EU providing the necessary bureaucratic support for a transitional period – whilst the UK puts in place it’s own necessary bureaucracy. 2. Continued EU membership. Possibly on the terms originally offered to the Chameleon! This would get the Tories off the hook. They would be able to go to the British People and say that they were true to the word given by Mr Boris Johnson during the EU referendum campaign and are offering Brexit with the opportunity to reduce dramatically immigration with the adoption of “Australian style points based system”. The voters would then have a clear choice. Of course the severe consequences for the UK’s financial services industry – were WTO + TS (transitional support) – would have to be taken into consideration by the voters! These consequences would be pointed out during the campaign. We would agree with Mr Davis on one point: such an agreement could be concluded quite quickly. This is because with the Brussels bureaucracy providing transitional support the practical and logistical challenges of Brexit (of being undertaken within a fixed time-scale) could be avoided. Difficult to condense one’s thoughts into just a few words, but I get the impression that BREXIT negotiations are going to be deliberately protracted with the view of eventually offering a second referendum. The intention being that this second referendum will take advantage of reduced number of more elderly voters in conjunction with increased numbers of young voters, so that the referendum outcome will be for the UK to remain trapped in this dreadful organisation run by a few privileged Germans. It is clear that we are a long way off being free of EU bureaucracy and will find ourselves facing, as the Editor previously stated, Hobson’s Choice. It is also an attempt to sabotage UKIP support that will be rising during the next couple of years when voters realise that BREXIT ‘doesn’t’ mean BREXIT in terms of the Westminster based Leave Campaign’s pledges. Boris Johnson, Michael Gove et al were using parts of UKIP’s 2015 manifesto as their regular scripts: “An Australian style points system” “350m per week we send to Brussels better spent on services like the NHS”. When these pledges are deemed both impossible to achieve and a deliberate motive to mislead the electorate they will say that UKIP wouldn’t be in a position to deliver them either, keeping opposition at a safe distance. I often wondered what ‘take control’ really meant. And now, it would seem, obvious.